Explore what’s there to play in and around Kuala Lumpur! Days Hotel & Suites by Wyndham Fraser Business Park Kuala Lumpur is the perfect launchpad for your adventure, being just a short few minutes from the vibrant city centre. 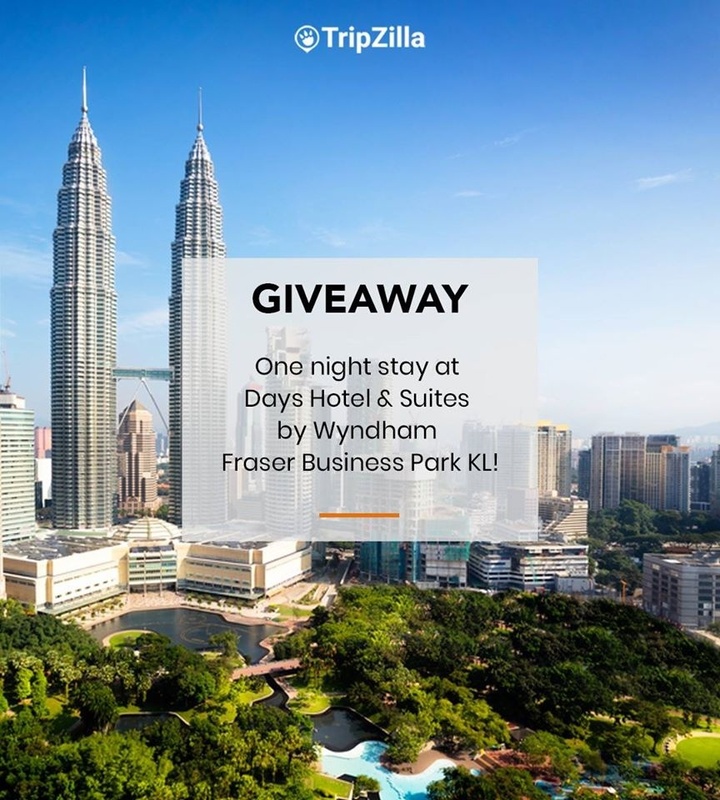 In the spirit of the festive season, Wyndham is giving away a 2D1N stay at Days KL EVERY DAY in December! And, one lucky winner will get a 2D1N stay during his/her birthday month every year FOR LIFE! To stand a chance to win, simply like, share and tag a friend in the comment section of the Wyndham giveaway post on our TripZilla Facebook or Instagram Page. The campaign ends on 31 December 2018, and winners will be contacted in the first week of January 2019. By entering this giveaway, you agree to subscribe to Tripzilla's mailing list. Voucher is applicable only for room night stay, not applicable for other hotel facilities. Voucher valid only during the winner's birthday month.